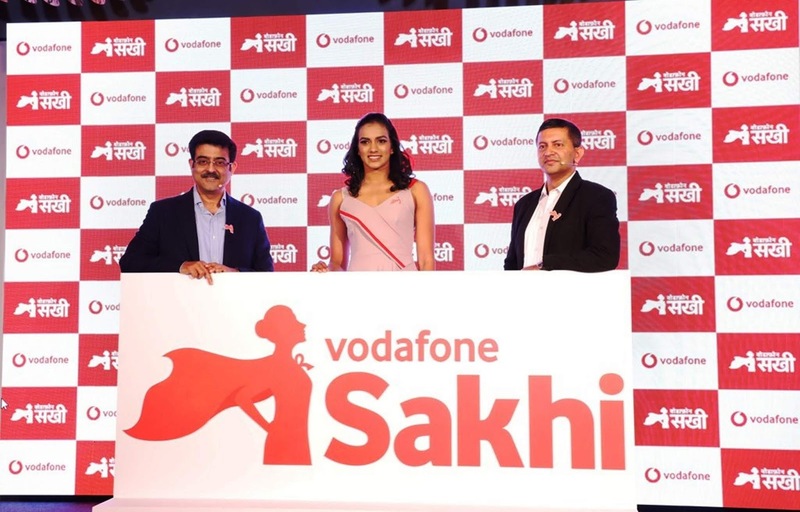 Vodafone Idea Limited, leading telecom service provider in India Releases Vodafone Sakhi. 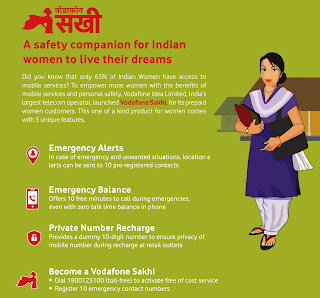 Sakhi is a unique mobile based safety service that is developed and designed, exclusively for women. Salient features that Vodafone Sakhi includes are Emergency Alerts, Emergency Balance and Private Number Recharge to provide safety measures through the mobile connection. Its available to all women pre-paid users across the country and Vodafone providing this service even without mobile internet or balance and it will work on feature-phones as well as smartphones and feature-phones, even without any balance or mobile internet, thus ensuring that the service extends to millions of women in India. P V Sindhu, well know famous Sportstar/ celebrity inaugurated the Vodafone Sakhi, she addressed the media and explained importance and features of this service and also flagged of ‘Ab Rukein Kyun’, a movement to empower women, encouraging them to confidently step out and achieve their dreams. To Join Or Activate Vodafone Sakhi just dial Toll Free No. 1800123100 and register 10 emergency contact numbers to send alerts and information in case of any emergency situation.